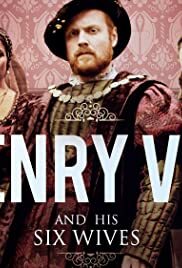 This two-part docudrama shows the love affair between King Henry VIII of England and his second wife, Anne Boleyn; presented by historian Dr. Suzannah Lipscomb. The introduction of world trade in Tudor England inadvertently introduces foreign poisonous substances. One such case is sugar and the subsequent rotting of teeth. Historian Lucy Worsley reveals how some of the biggest moments in British History are actually a concoction of fibs and stories which have been manipulated by whoever was in power at the time.